Ahoy Matee! 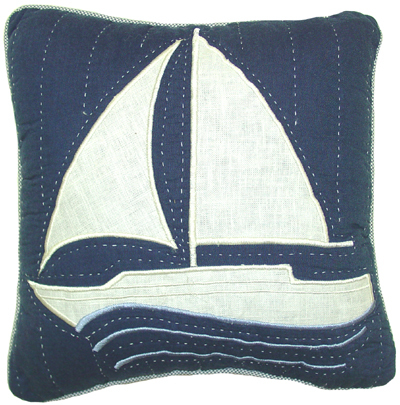 This crisp white patchwork sailboat floats on light blue embroidered waves and features a navy background. A corded edge adds a finishing touch, and reverses to an all-over navy. Great pillow for a bed, sofa, or your favorite easy chair.